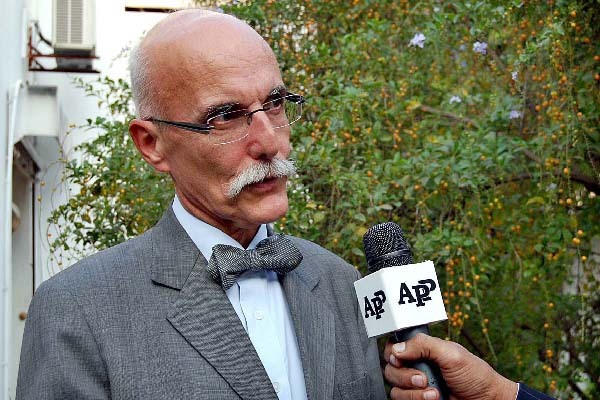 ISLAMABAD, Nov 1 (APP): EU Ambassador Jean Francois Cautain has said that the European Union is working seriously to diffuse the ongoing tension between India and Pakistan. “The EU is clearly raising the issue of Kashmir with different stakeholders,” he said here in an interview with APP. Ambassador Francois said the EU diplomatic efforts were an ongoing process, not always visible to the people. When asked to comment on the massive human rights violations in the Indian Occupied Kashmir, he said, “We are taking this issue seriously with both India and Pakistan.” Both sides had to sit on the negotiating table to resolve the issue, he added. The EU, he said, was among the largest providers of development aid to Pakistan. It had allocated a grant of 653 million euros for the development sector for the years 2014 to 2020, major portion of which would be spent on education, rural development and democratization of the government. The EU Investment Bank had also agreed to provide Pakistan 50 million euros, Francois said. The ambassador said exports from Pakistan during 2014-15 went up by 30 per cent due to the success of the EU GSP+ concession. should explore more avenues to benefit from the EU trade by diversifying it, he added. EU-Pakistan relations, Francois said, were “good and getting better.”The EU and Pakistani representatives were also exploring ways to “upgrade” their existing relations, which would be beneficial for the people of Pakistan. Leaders on both sides wanted to take the ties to the “next strategic level,” he added. He said the next EU-Pakistan Summit was due in 2017 when important decisions would be finalized. Francois said the EU and Pakistan needed to tackle the issue of irregular Pakistani migrants who formed the fourth largest group of refugees reaching Europe. “We need a dialogue to reach a win-win situation,” he added.